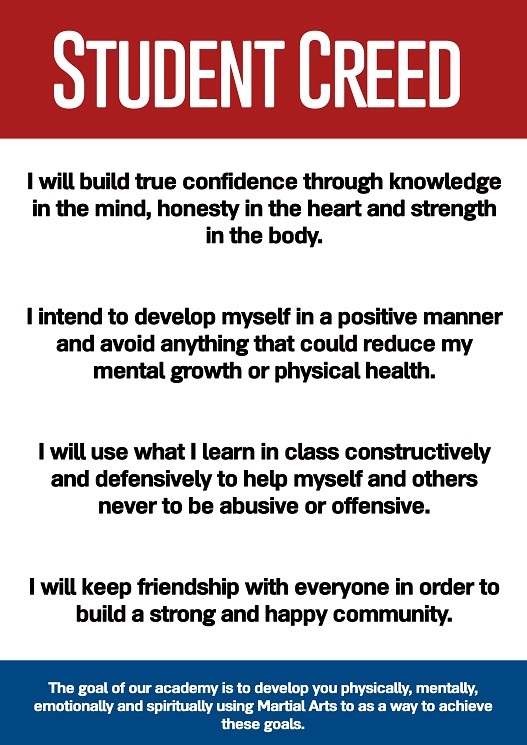 Mutual Welfare, Respect & Safety are the key principles of our Academy to maintain a positive learning environment. To do so, we require our students and staff to adhere to the following Dojo Etiquette guidelines. Without discipline, there’s no mastery. These guidelines were created to ensure everyone’s safety on and off the mat and to maximize everyone’s learning experience. Keep shoes off the mats, so that we can keep the mats clean. No food, drink or chewing of gum are allowed on the mats. Only water bottle is allowed. No jewellery to be worn on the mats. Please keep fingernails and toenails short & neat to prevent injury to yourself and others. Be aware of your surroundings while training. Like Wall, Pillar, Mirror, Training equipment as well as fellow students. Bring a clean, dry Gi to each class. Also, always keep a rash guard or T-shirt in your gym bag. Members without uniform should wear track pants and T-shirt and they should not have anything in their pockets. Always carry a hand towel & water bottle to the class. Report all injuries to the instructor immediately. When arriving at class with an injury or illness, the instructor must be notified prior to the class. If you are late in class, please ask for permission from Instructor to join the class. Before joining in do a Self Warmup. A good Warmup is very important before training to avoid injuries, our classes always start with a warmup routine. No neck cranks, knee-bars, heel hooks, finger grabs, eye pokes, hair pull, intentional slamming during takedowns or guard work. Do not get rough and emotional while sparring, try to rely on your techniques rather than speed and strength. Sparring is just a friendly way to improve your ability to apply techniques. Students are not allowed to spar without the permission and supervision of Instructor. We have dedicated storing areas for your stuff like Shoes, Bags, Cell Phones. Keys & Wallet. So please ensure that your belonging are not lying in the training area. Always bow when entering and leaving the mats and immediately greet the Instructor & fellow students. Instructors are to be addressed as Master, Sensei, Sifu, Professor, Coach, and/or Sir by their students. When working with partners, bow to each other at the beginning and at the end of each exercise. Introduce yourself to fellow students whom you do not know and make them feel welcome. Support your teammates in training both on and off the mats. Treat each other as family. Always be courteous. Hot tempers or offensive language is not permitted and will not be tolerated. Always show respect to your instructors, training partners, and fellow human beings. Do not seek to harm fellow students physically or emotionally. Do not talk while the instructor is talking. It distracts those who are trying to learn and is disrespectful to the teacher. Be on time for the classes and leave on time. Once the Instructor finishes the class don’t restart the training or sparring again. Let your Instructor know if you expect a lengthy absence from classes or you are arriving late. We are committed to provide a drug-free, healthy environment. Smoking or Alcohol is not permitted in the Academy. Martial arts are only to be used for self-defence. Don’t try techniques on friends, brothers, sisters, or school mates. Never misuse your Martial Arts knowledge, inside or outside the Dojo. Never criticize other students, schools or styles of the martial arts. Keep an open mind and humble attitude. Develop and maintain a positive well-disciplined attitude in all areas of your life. Be patient, have fun, and train well each and every time you come to class! Thank you for your cooperation. Oss!